A new report launched in the UK Parliament today demonstrates how the UK could cancel their plan to replace the Trident nuclear weapons system without massive job losses. The report, Defence Diversification: International learning for Trident jobs, examines defence diversification and conversion projects around the world and applies this experience to the UK. It concludes that the work skills, jobs, technology and infrastructure of the nuclear weapons industry could be converted or transferred to other sectors of the economy, providing a net benefit to the UK. 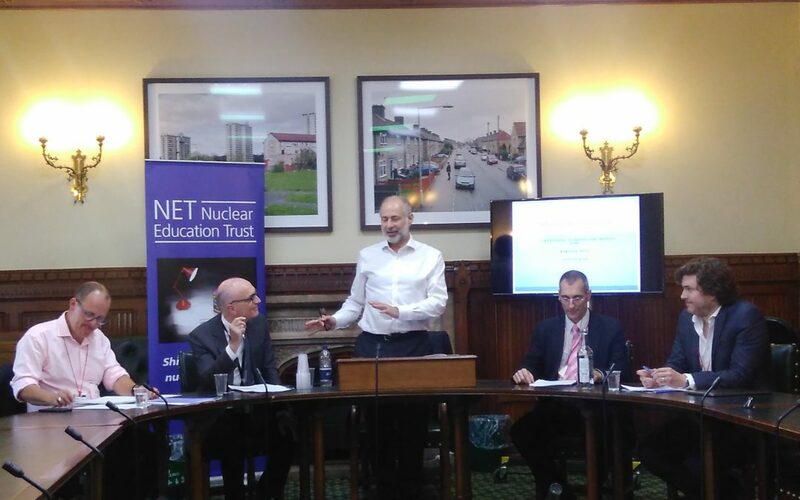 Barnaby Pace, author and researcher for the report, notes that there are many sectors in the civilian economy that could benefit from the skills, technology and resources currently being used in the nuclear weapons industry. These include renewable energy, electronics, engineering and even tourism. However, engagement of all sectors in the industry (workers, management and local communities) is vital to ensure the success of economic conversion plans. The report also highlights that successful conversion to civilian enterprises requires government intervention – not only to protect jobs, but also to persuade the defence industry to diversify and convert. Fabian Hamilton announced that for this reason, a Labour government would re-establish and properly resource a Defence Diversification Agency. Alyn Ware, Global Coordinator of Parliamentarians for Nuclear Nonproliferation and Disarmament, speaking from the floor, noted that nuclear weapons corporations – and others in the weapons production industry – are hesitant to change even if there is government support and worker agreement, and that other incentives are probably required to convince them to move. This is the reason behind the growing movement for public divestment from the nuclear weapons industry. A related report in 2009 by the Working Group on Scotland Without Nuclear Weapons (a government-established advisory board), examined the economic impact, and options for the development of alternative employment opportunities, in the event of a decision to remove nuclear weapons from HM Naval Base Clyde (the UK deployment base in Scotland for their Trident nuclear-armed submarines). The report identified that approximately 1600 civilian jobs would likely be lost by the removal of the present Trident system, but that re-investment of just a portion of the £134 million annual maintenance costs for deploying the Trident system at Clyde could easily provide re-training and job creation for alternative jobs for this workforce, and create additional jobs to support the local economy.